Installing Gnome Shell on Linux Mint likely is not a good idea - see the comments also. Also this tutorial is deprecated; it's a year old at the time of writing. But if you want to try, you could try this procedure. However, it likely won't work well. I've thought about deleting the tutorial, but I'll keep it up there, as people wil likely want to try to install GNOME on their linux mint alongside xfce/cinnamon after all. This tutorial can stand as a testament that it probably won't work, at least not well. It's better to try another distro - you could also do that in virtualbox, or install a second linux on another partition, or even just run a live USB/DVD and try it out. But who cares? If you want to try it and it doesn't work it's easily uninstalled (you may want to keep track of all the components you install in a document or text file to help with a possible uninstall process). However - don't expect it to work well. Complications: A year ago, I didn't managed to install extensions other than the ones through terminal below. I'm guessing it is possible but extra complicated than in the original gnome version. Personally, I've removed gnome again. I liked it, but it just isn't as compatible as I'd want it to be... By the way, when I installed gnome I installed it alongside cinnamon; I did not remove cinnamon. Installing the gnome desktop environment on linux mint can be problematic. On the forum I've read that a lot of people experience an issue where they try to login through gnome but the computer only returns a black screen with a moving cursor in the middle. However, I found a way to make it work - or rather terminal showed me the way to make it work. When you do this, you will see that Terminal suggests a few "recommended packages". These are gnome-contacts, gnome-control-center, and gdm. I found gdm was indispensable to make Linux Mint gnome work. This is a different login manager which will replace mdm (default mint login manager). When installing gdm, it will delete mdm. (At least, it did that for me). Gdm will still allow loading the original Cinnamon desktop environment. So no worries there. There are also some "suggested" packages Terminal suggests. One of these is gnome-user-guide. I installed that one, as I thought it would probably be useful. I don't know about the other ones. (I'm a kind of newbie myself to all of this. Just been using linux for around 2+ months now). Restart your computer. You will now see a Ubuntu-like start up screen. Select gnome under the gear on the screen. This is under the login options. Click on Applications and click Search. Then in the TweakTool, one of the first things you need to change is the settings under Appearance. Change Icons to Gnome, and other settings to defaults (Adwaita). (Or select something else. Defaults could be the safest though.) Keeping them Mint-X (most likely) causes extra vulnerability and instability. I noticed my Gnome system crashed a lot, especially with Libre Office, and changing this setting and window settings helped that a lot. The other setting you will want to change is the window setting. You will notice that Gnome only includes 'x' on the windows by default. There are no buttons to minimize it. You can enable these on 'Windows' under the Tweak Tool. Under the "Title Bar Buttons" subsection, select Minimize and Maximize. $ sudo apt-get install mdm. This will reinstall mdm (linux login manager) and remove gdm. And "sudo apt-get remove" all other installed packages. 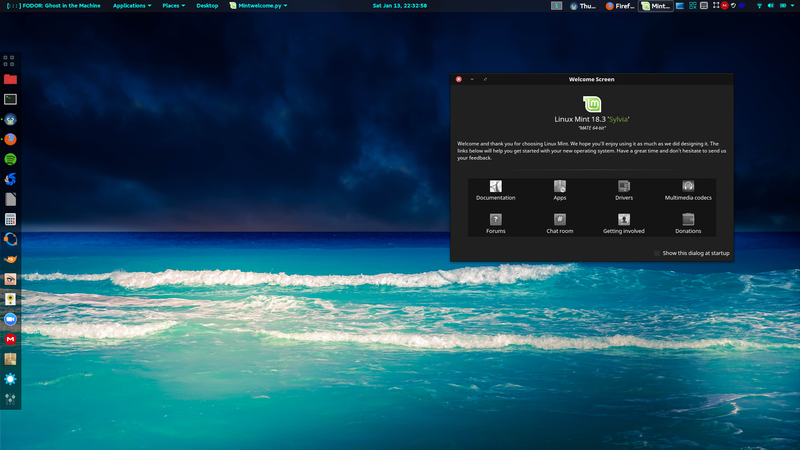 Bio_Ling	 There is absolutely no problems with running Gnome on GNU/Linux Mint. Cinnamon is no more just a different looking Gnome, and all previous conflicts are now just historical relics. I've been on Gnome 3.18.5 on Mint 18.1, 18.2 and now on 18.3 for over 14 months now, without a glitch. Just install the Ubuntu Gnome Desktop as you would on Ubuntu.
" in its current state cinnamon frozes so much and contains so much bugs that it's barely usable"
that's why I do prefer still 17.2 and this is close to being perfect. hardware, partitioning or sw settings. stevendobay	 @Thinker that problem is only present if you use and nvidia driver. stevendobay	 @Rebel450 in its current state cinnamon frozes so much and contains so much bugs that it's barely usable. astaria	 Yeah I get that if you want to install Gnome its probably better to use a different system :) I am currently using XFCE only. However, I can imagine some people would like to use both desktop environments. Cinnamon in this case. So now they are looking for a way to take a step beyond - back to Gnome Shell. Thinker	 Actually, Gnome does not work on mint 17.1. Only black screen appears with no response, even force logout stop working. Better to move on to ubuntu and install gnome shell and gnome desktop environment later on (Ubuntu-gnome is not a polished distro, that's why official ubuntu is recommended over it) Even I am planning to switch back to ubunto. stevendobay	 @MagicMint Unity is an unstable slow crap with no multidisplay support while gnome-shell is fast, smooth and easy. Of course, it has horrible defaults but its extensions can make it better. People install gnome-shell because of reasons like the uncustomizable panel-launcher with really small icons or because of the poor calendar applet(no evolution integration). MagicMint	 “Gnome isn't extremely compatible with Linux Mint.” — There is a reason for that: the Mint developers had a hard time to get rid of it. There is hardly anything in any of of the Mint distributions that needs Gnome. Put it another way, why Gnome, why not Unity? astaria	 Yes Hammer459, the latter would probably be wiser. However, I have found that many people, including me have tried to install Gnome on Cinnamon (only to get errors). This is just to make it all easier for them. But I'm going back to Cinnamon. Gnome is just more compatible with other systems. By the way I didn't realize uninstalling Cinammon was necessary; I didn't do it. Hammer459	 Why install Mint with the selling point of _not_ having Gnome Shell, only to go through a major hassle to remove Cinnamon (different shell on G3) and installing Gnome Sheell. 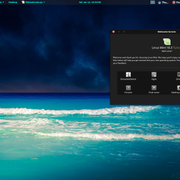 There are several distros that feature Gnome Shell as default.